Happy New Year. 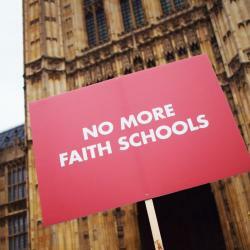 There have been lots of developments in the No More Faith Schools campaign over the last month. 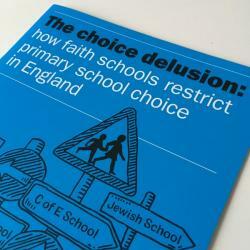 We published a ground-breaking report (The choice delusion: how faith schools restrict primary school choice in England) taking on one of the post pervasive arguments from faith school apologists. 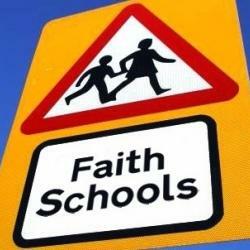 Findings include that almost 3 in 10 families across England live in areas were all or most the closest primary schools are faith schools and that thousands are being assigned faith schools against their wishes. We're also seeing the continued fallout from the government's decision to fund a new wave of voluntary aided (potentially 100% discriminatory) faith schools. The government's own equality impact assessment shows this will lead to discrimination in the schools' admissions, through their teaching of denominational RE and in their employment practices. Unfortunately special exemptions for faith schools in the Equality Act mean all this discrimination is likely to be legal. You can find out more about these stories below and can rest assured that we will continue to challenge these proposals at every stage. But we need your help. Why not make it your New Year's resolution to work for an inclusive secular education system free from religious discrimination privilege or control? I know that many of you have already signed the petition and written to your MP. We are so grateful for your support, but if you can do one or two small things more it could really help the campaign. There are some ideas below. The NMFS campaign has said the government "must think again" over the funding of a wave of religiously selective schools after the publication of an official impact assessment. Almost three in ten families in England live in areas where most or all of the local primary schools are faith-based, National Secular Society research has revealed. We often hear that faith schools improve choice. But an NSS report shows that this narrative mischaracterises the challenges facing families and public education's role in a diverse society, says Alastair Lichten. The National Secular Society has again said the government should monitor faith-based impositions on school choice after the revelation that 55% of maintained rural English primary schools are faith schools. 1. Follow us on social media. 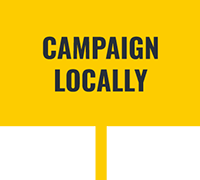 Please take a few moments to follow the campaign on Twitter, Facebook, Instagram and YouTube. If you can share a message of support using the hashtag #NoMoreFaithSchools it helps us get the message out and helps others find the campaign. Please use #NoMoreFaithSchools whenever sharing on of our stories, a link to the petition or our main video. 2. Keep us informed. It's always helpful to know how the issues were working on affect real families. We follow new faith school proposals and developments extremely closely, but we can't catch everything. 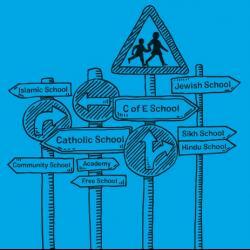 If you can report a new faith school proposal as early as possible, we can do more to help. 3. Share your story. Statistics and theoretical arguments may win some people over, but sharing stories help many more empathise with those affected by faith schools and perhaps rethink their support. 4. Get creative. Please send us a video or photo of you supporting the campaign and let us know why you're saying: "No More Faith Schools!" 5. Get talking. 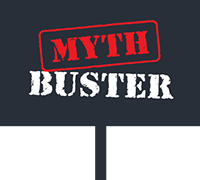 Why not have a chat your friends and family, do they support secular inclusive schools, and they absorb some of the pro faith school myths? Sometimes having a genuine friendly conversation can have a big impact. 6. Get writing. If you haven't already please write to your MP, and if you have please consider a follow-up letter. It's worth writing to your MP even if you live in a UK nation where education is devolved. MPs take up casework and policy issues which go beyond their Westminster role. 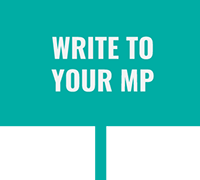 You can also write to your local representatives asking what they're doing support inclusive education, and while you've got your metaphorical pen out why not send a letter to your local newspaper? 7. Get together. If you're a member of a club or society, why not hold an event discussing faith schools and the need for secular inclusive education system? We can provide advice and resources, and potentially a speaker. 8. Support us financially. NMFS is coordinated by the National Secular Society, which works for the separation of religion and state and equal respect for everyone's human rights. Running a leading campaign of this scale takes resources and there's still so much more we can do. If you're able to, please consider supporting the NSS from just £1 a month, or joining from £2 a month. One off donations are also gratefully received.